SmartHive? Community Budgets? Don’t worry we know it’s alot, we’ve got you covered. 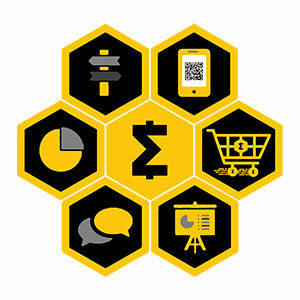 SmartCash is a project born out of the desire to create a viable, fast, merchant oriented, user friendly and community driven cryptocurrency with a decentralized governance system. We aim to create the most nimble and fast growing cryptocurrency by aggressively prioritizing block rewards to growing our community, hiring developers, gaining merchant acceptance and via grassroots community outreach efforts and established marketing methods. Blocks payout mining share every block, 10 SmartNodes on every even block, SmartHives and project treasury on every 1000 block, and SmartRewards every 47500 blocks (max 1000 SmartReward recipients per block, paid every other block). SmartCash has been specifically designed with adoption in mind. Wanna get involved? The SmartHive has a place for folks of all backgrounds. Come hungry! We believe ‘Core’ teams are a bad idea and something that ultimately leads to inefficiency and corruption. We want to move past it and create a decentralized organizational model inspired by ant and bee colonies. In order to create and maintain a decentralized governance structure, we are introducing two concepts SmartHive and Hive Structuring Teams (HST). SmartHive enables anyone that holds coins to vote on proposals submitted by the community. SmartHive will be the lifeblood of the project, which will allow anyone to get involved and submit proposals, helping to generate organic growth at a grassroots level, creating a bottom-up management structure. 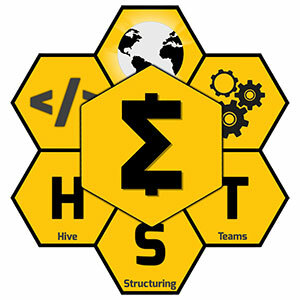 The Hive Structuring Teams (HST) will lay the groundwork for the project and set the framework for the project’s evolution. Initially, the Hive Structuring Teams will operate three separate departments in charge of vital project areas, such as development, outreach and support. Each of these three departments will end up employing people. As teams grow larger, bigger than eight members, more teams will be created, each with its own budget and team coordinator, operating autonomously without a central command and control structure in place. The Hive Structuring Teams will consist of people directly involved in the project on a day to day basis, while the overall SmartHive will aim to enrol and engage community members and other 3rd parties interested in growing SmartCash into a global worldwide currency. All Smartcash users deserve a voice, from day #1. 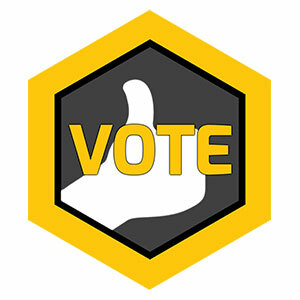 That is why Smartcash is pioneering in the crypto-governance space and was built around Smarthive, the platform that lets all users vote on the direction of the project. More information will be released soon describing this platform in depth. Basically, each SmartCash coin is worth 1 vote, to keep it simple. SmartRewards are a price stabilization mechanism and a way to encourage long term holding. Long term holders are key to the project’s success since the SmartHive treasury needs SmartCash to appreciate in value in order to fund meaningful 3rd party proposals and help grow SmartCash into a successful global crypto-currency. Beginning at block 574,100, the current SmartRewards model will change to a Decentralized Distribution. 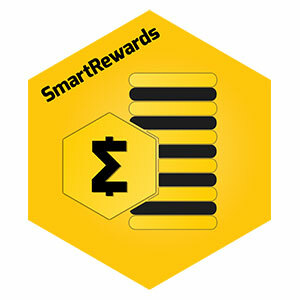 SmartRewards will then be distributed after every 47,500 Blocks to all eligible addresses. The payouts will begin 200 Blocks after the cycle ends and 1000 addresses will be paid every other block. SmartNodes will keep track on which addresses are eligible and which are not. You will earn SmartRewards on any address for which you hold the keys (web or desktop, SmartNode included!) which holds >=1000 SMART for one month and does not make anyoutgoing transactions during that time. Please note, most exchanges do not pay SmartRewards to their users, holding >= 1000 SMART on an exchange does not guarantee a reward. The SmartRewards will come out of the 15% block reward allocation. Payment after every 47500 blocks starting at 574100. Typically, around the 25th of each month. All users need to move funds into addresses holding at least 1000 SMART before the snapshot to be counted. If you spend ANY amount from an address, it will be ineligible for SmartRewards until the next round. 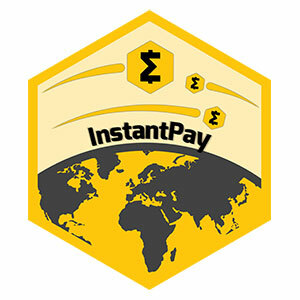 InstantPay ensures SmartCash is always blazing fast, no matter what you are buying. InstantPay is going to be a key feature that allows instant point-of-sale in-store and online purchases. People should be able to use cryptocurrency as means to pay for their daily needs. InstantPay makes that a reality and allows for transactions to happen instantly, even faster than using your Visa or Mastercard. No matter if you want to buy a coffee at your favorite coffee shop, fill up your tank at the nearest gas station, buy a bus ticket or pay for a video download, InstantPay makes that a reality. This is currently not possible with Bitcoin due to its technological limitations and network constraints, which result in transaction delays and high fees.